Meet the passionate DJ, designer and Recordat-founder pushing for recognition of talent in the Middle East. Just after having started my job as a music writer and content creator in early 2017, I came across this set on Soundcloud by a Jordanian artist who goes by the name of Owais, recorded live at sunset from the Desert Disco stage at Magnetic Fields Festival in India. It caught my attention because it was unlike anything I’ve heard out of the MENA region in a long time - most of the DJs today want to take a strictly-electronic musical direction, i.e. 4/4 beats and relentless, pounding grooves, something I’ve considered too rigid of an approach to take, especially in our day and age where everyone and his dog can DJ. Owais’ Magnetic Fields set also made the perfect case for why the terms “dance” and “electronic” shouldn’t be considered one and the same. In the entirety of the nearly two-hour mix, he played perhaps one or two tracks that qualify as electronic music; the rest of it was a collection of old funk, jazz and rock tunes anywhere from Guinea-Bissau to India, and still there wasn’t a single song that couldn’t find its way to your body. Now almost two years later, it’s my go to set whenever I’m on the road, near the desert or just enjoying a sunset somewhere scenic. I contacted Owais almost instantly after discovering his work, in order to shed light on his story but he proved one of the most elusive people I’ve set out to contact. To his defense however, he was busy launching a new project in Amman. Recordat is a series of events, recording sessions and “maybe a record label” as stated on their official Soundcloud page started by Ibrahim and several of his friends. Recordat was launched in December of 2017 with the aim of creating awareness about the local music scenes, supporting the local artists and revealing them to their home audiences, and then to the world, using the Recordat team’s connections in Germany. So far, they’ve organized nine Recordat sessions and experimented with various concepts inside different old and unique spaces in Amman, Bethlehem and Ramallah. The fruits of their mission manifest in many special moments, for example, the time they invited Palestinian/Jordanian artist Bananas to Recordat #004 in Amman. Bananas was producing in his bedroom for the previous six years and failed to land a single gig until his Recordat set, yet the crowd went absolutely wild for him during his debut. The recording sessions don't only feature upcoming artists but also underground staples, the likes of Muqataa, Makimakkuk, Dijit and more. We Spoke to Ibrahim - who recently adjusted his artist name to O-wais to avoid confusion with a famous Pakistani sheikh - about his passions, the start of his career, and Recordat. Tell us a little bit about your upbringing and the music your exposed to growing up. I was born in Qatar and raised in Saudi Arabia until I was 15 years old. Then I moved with my family back to Jordan. Back then music was not something favorable in the house, but it was for me. The older I got the more I was interested in all kinds of sounds. I was exposed to different kind of music, mostly Khaliji music. Our house was full of electronic devices, as this was my dad's work, and thats how I became obsessed with technology. I remember hiding in my room pretending to study while I was actually making mixtapes using some of the old electronic devices I had at home. I actually never learned how to play any instruments. One thing I learned the basics of music from was an old Korg synth that my cousin had found in his basement...we both used to play around with it. Was music always something you thought you’d pursue seriously from a young age or was it more of an unplanned move? It was completely unplanned - it still is. I was just having fun and enjoying the fact that people always liked my music. I’ve worked in many jobs and I never considered music as one. What drove you to study design? Is that a passion of yours as well? I have never studied design or programing, it was just my first passion. I actually never studied anything, I learned everything by experience. Design & programing are the things that led me to where I am today. Do you think your career in design and music compliment each other in any way? If so, how? Of course I do. I think that design is something everybody needs to learn, it’s a way of communication and so is music. When I have a gig, I design my DJ set beforehand. I carefully choose my sounds to create a specific atmosphere for people and to give them an experience from the first minute to the last. Design is not only about visuals, design is the way you talk about yourself, the way you produce your music and the way you choose your music. There is design in everything we do. You seem to draw a lot of inspiration from the desert for your music. How did this relation develop? Maybe it’s growing up in Saudi Arabia? I think it’s more Wadi Rum, I feel good there. I started growing a lot of respect towards music coming from the desert, and I found a common sound between all the music created in such places. The music coming from the desert shares some elements that enable it to travel in open spaces, making it sound dreamy. If you listen to a track from Mali you can find something in it similar to a track from a local band in Rajasthan. This is something I’m trying to find when it comes to electronic music. You seem to have a vast collection of music that encompasses several genres. What’s your digging routine like? I like different genres, I started out playing funk, soul and cumbia. The last set for Recordat is what I currently play. But I also keep modifying my sets every time I play. I started collecting music using mIRC network. I had hard drives filled with music from hip-hop to rock to electronic. Nowadays I use BandCamp to buy my music and some music networks to stay up to date with what's new in electronic music. So how did you end up in India? In 2016, after my first trip to Germany, I decided to quit my job in Jordan as a designer to focus on music, create my own product and also to prepare a permanent move to Germany. I decided that India is the place where I can take a long break and start this big move to Berlin. I started this trip in December 2016 with Magnetic Fields festival in Rajasthan and left in May 2017 after going though so many powerful experiences while traveling in India. Tell us the story about how you landed that gig and what the overall experience was like? Before I left Jordan to India, I was playing in the basement of a good friend of mine from The Flowery Twats and it was my first time to try playing using midi controllers. Another friend of ours, Shermine who runs Malahi, a booking and event management agency, was there and she listened to my set. She offered met to play at Magnetic Fields Festival in Rajasthan, but I was hesitant back then to take up the offer as I was very new to playing for a big audience. I spent two weeks preparing a set to send to Magnetic Fields, which was my first uploaded set on Soundcloud entitled “Where Ideas Come From”. A few weeks later I was picked up by the festival crew driving me from Delhi to Rajasthan with Khalil from Livin’ Proof and Howie Lee from China and we’re being welcomed by the guards of a 17th century palace in the middle of Rajasthan along with a prince who is fascinated by electronic music. I felt myself in a dream where I started my music career from one of the most beautiful buildings I have ever been to. Magnetic Fields was a special festival for me. So where did the idea for Recordat come from? What did you find missing in Jordan or the MENA region in general that you think Recordat had to step in to provide? Recordat is a project I started because I saw the need to highlight electronic music producers and DJs in the the region. During my travels in India and in Germany I connected with many artists and booking agents. and when I came back from Germany last year, a good friend of mine suggested we start a small party in a small old pub in Amman. I kept thinking about the idea, until one day I came up with the name, the concept and the design of the space. It started gaining popularity with every session as we were trying to also highlight spaces where people can have music shows and parties. The concept of Recordat was so simple, and for me this is what made it successful. We have created a platform for people to perform in sessions where the focus is more on the musician than the audience. We didn’t care in the beginning how many people are going show up, we wanted musicians and DJs to have fun and enjoy their performance. That's why we kept our session private and for friends only, it then grew bigger to include friends of friends and then their friends. 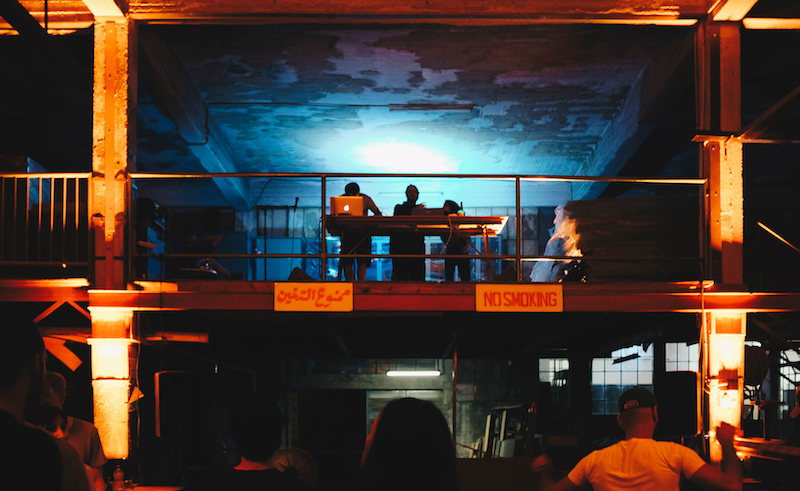 Recordat became something like a movement rather than a party; we believe that we have created a scene for underground music in Amman and we have managed to highlight artists who people did not hear about before. You’ve taken Recordat to Bethlehem and Ramallah, what drove you to pursue events there and what was the experience like? For me, Bethlehem was the best Recordat session of all time. 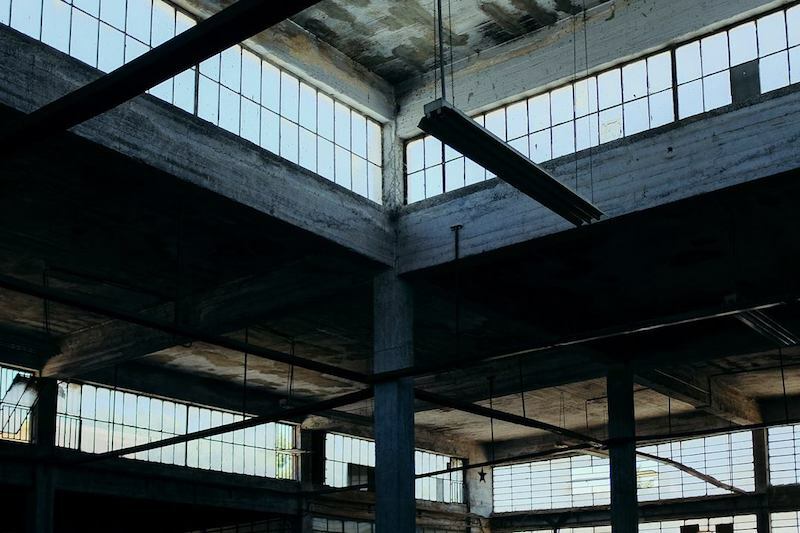 The sound, the space, the vibes in that old factory and the people who trusted us to use the space, I just loved it there. Ramallah was actually the first Recordat organized while I wasn't there. I was in Amman at that time organizing another Recordat session, which took place on the same day. The plan was always to take Recordat everywhere, especially in the Arab region. For me, Palestine is a very important place for what's happening in the regional music scene. There is also a strong connection between the scenes in Palestine and Jordan. Where else do you see Recordat taking place in the following editions? Now that I’m in Berlin, I would like to take Recordat to the next level and bring artists from our region to perform here in a Recordat session. I’m currently in the process of organizing one here in Berlin very soon. One or two sessions in Cairo would be great as well, and Beirut is definitely on the list. Follow O-wais on Facebook and Soundcloud. Follow Recordat on Facebook and Soundcloud. Photography by Lina Khaled & Mothanna Hussein.